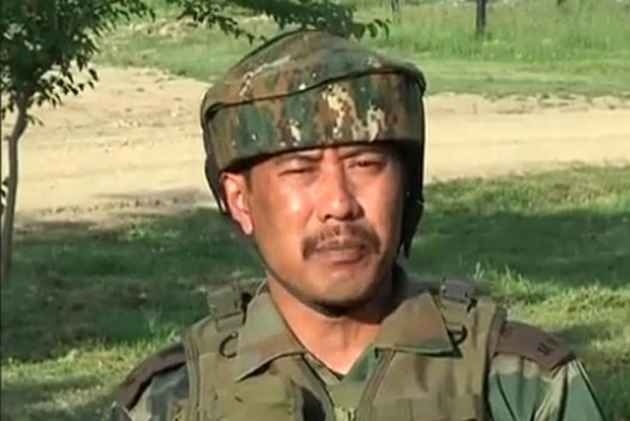 Major Leetul Gogoi of 53 Rashtriya Rifles, from Namrup of Assam, who hogged the limelight for the ‘human shield’ incident, has been detained on Wednesday by police over an altercation with the hotel staffs in Srinagar. According to a statement Srinagar police, Major Gogoi was briefly detained by police along with a man named Sameer Ahmed from Budgam, and a woman. Later Major Gogoi was released by police after recording his statement. Following the incident, a police party reached the spot and took the trio into their custody. Later, officer said police came to know that he was Army Major Gogoi. Major Gogoi made headlines in April 2017 when he tied Farooq Ahmed Dar, a Kashmiri shawl-weaver, to the front of his jeep in Budgam, claiming that it was meant to be a purported shield against stone-pelters.